14.50 June 11: 52 07.611N 05 52.191W: Jason McKinlay called Race HQ from the satphone onboard Savoir Faire in the Irish Sea midway between Fishguard and Rosslaire. Jason and partner Josh Tarr have manned the oars constantly throughout last and today. The wind has been strong from the south and the sea rough. It rained for most of the night and everything on board is soaked, though this afternoon the sun has come out. 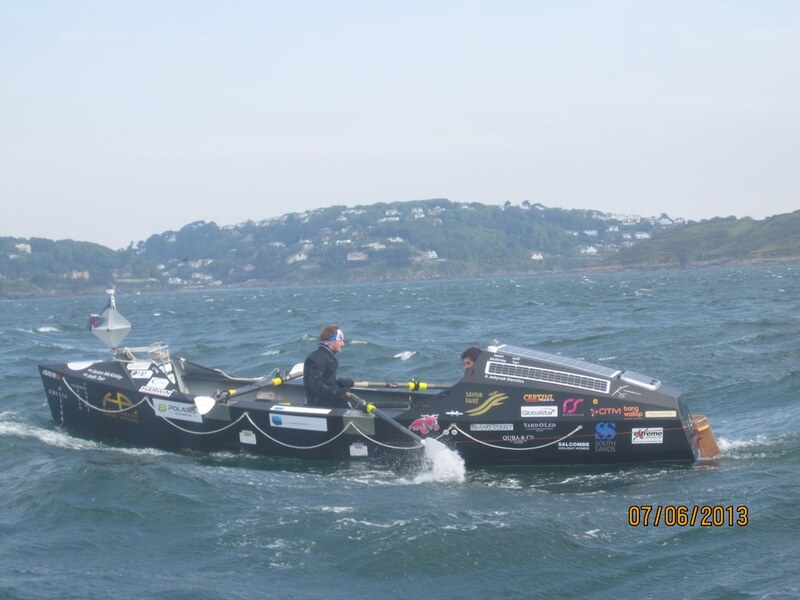 Over the Satphone, Jason said: “Last night we were battered and bruised by the sea conditions which were horrible. We were on the oars all night. The was no moon last night and it was so dark, that from 11.30 to 4 am it was pitch black, there was no horizon to be seen. 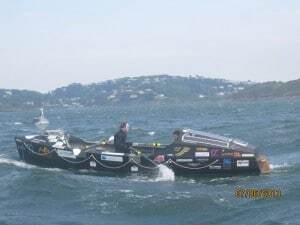 “We have been rowing individually, one hour on and one hour off all night and all day. In that hour off, we manage to sleep for about 40 minutes and then spend 20 minutes feeding and doing jobs on the boat. “Looking ahead to Thursday, storms are forecast. At the moment we haven’t made a decision on whether to row though the bad weather and head towards Dublin, or to put out the drogue anchor and sit it out. “At the moment the tide isn’t behaving in the way that was predicted, so we’re unsure whether we will be nearer Holyhead or Dublin tomorrow. At this stage, the weather and tide are making more decisions than we are on the boat.